Cylinder Stoves and Sheepherder Stoves are built tough. 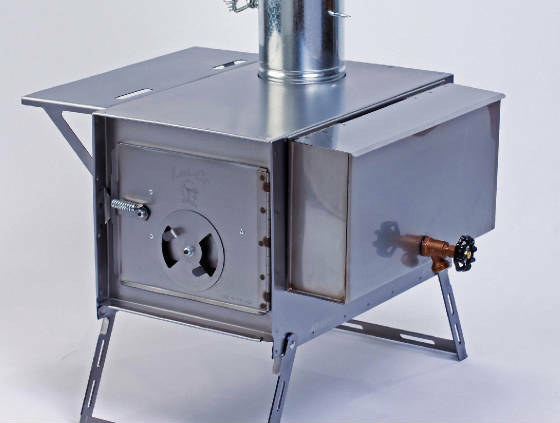 The top and door on Cylinder stoves are made of 10-gauge steel. The rest is made of 12-gauge steel. 72 lb. Denali stove made of 10 & 12 gauge steel. Packages include, stove pipe, damper, spark arrestor, table, & water tank.